When couples divorce, one party may be entitled to a part of the other’s retirement fund(s). If a judge has ordered that you are entitled to receive a portion of your former spouse’s fund, you will most likely need more than just your Final Judgment of Divorce to make that happen. You will probably need a QDRO, or a Qualified Domestic Relations Order. This can be one of the most complex aspects of your divorce settlement. 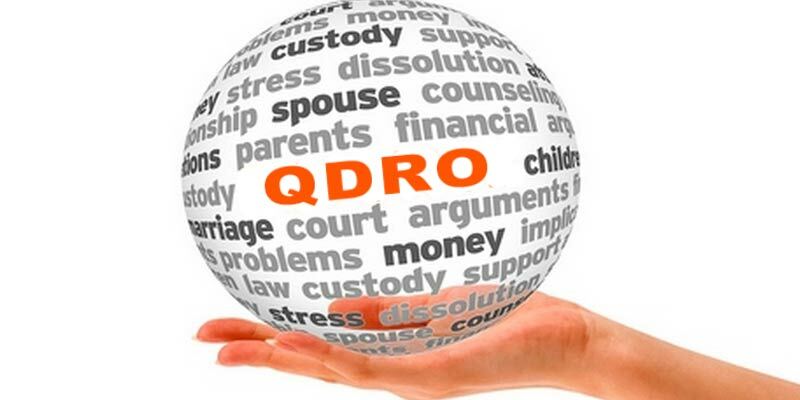 A QDRO is an order that will create or recognize the existence of your right to receive, or assigns to an alternate payee the right to receive, all or some of the benefits payable to a participant in a retirement plan. A properly completed QDRO form will include required information that will meet specific requirements set forth by the administers of the plan. Realizing too late that you need a QDRO can be traumatic. Imagine learning years after your divorce that the retirement funds that you thought you were entitled to are no longer required to be paid to you. To further confuse the issue, there is not a, “standard” QDRO form. Each retirement company has their own, and some have several depending on the fund. QDROs also differ between a pension plan account and an investment plan account. Figuring out which form to use and where to get it can be half the challenge. We have experience in preparing QDRO forms, and we’d be happy to discuss your document preparation needs.